Foodbytes! Brooklyn on March 3 was a pitch fest of innovative food and agriculture companies—spot on with consumer trends—and united by a concern to better our planet and our health. The ten chosen presenters stood out from among hundreds of applications the event organizers received, so their quality was high. The people in the room included over 250 investors, consultants, and food entrepreneurs. Presenting partners were leading food and agribusiness bank Rabobank, San Francisco’s longest-running monthly technology networking meetup SF New Tech, Food+Tech Connect, a media platform for innovative food companies, and Boulder Food Group, a venture capital firm that works with early stage food and beverage companies. 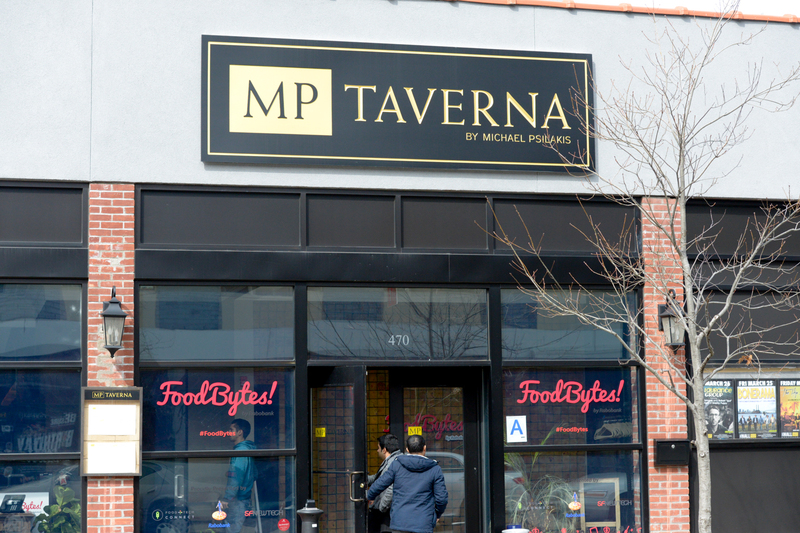 MP Taverna in Williamsburg, Brooklyn was host to FoodBytes! Brooklyn on March 3, 2016. (John McCartney/Courtesy of FoodBytes! One could argue that healthier food is really about sustainability, since the ingredients are grown and sourced responsibly, and products usually contain more whole foods and less sugar, which means less disease and less need for health care, but today, this criteria is nearly a given for food startups in the tech space. This article will focus on five companies that are trying to preserve the planet’s resources. They focus on sustainably-caught fish, vegan fish, the preservation of corn diversity, enabling city folk to connect to the land, and enabling farmers to reduce losses. Links to the other five worthy presenters are provided at the end. The business identifies quality suppliers running fish farms in the most sustainable way possible. From the moment LoveTheWild co-founder and CEO Jacqueline Claudia took the stage for the first 10-minute pitch (including audience questions), it was evident that a sustainability theme would rule at the first FoodBytes event held on the East Coast. Claudia presented herself as her own ideal customer. She is someone who grew up around water and was educated about commercial fishing through a fisherman boyfriend, but she rarely ate fish because of her uncertainty about where it came from, if it was caught responsibly, and how she would cook it. After studying marketing at Wharton University of Pennsylvania, a job with Lockheed Martin involving sustainable aquaculture convinced her of the potential of fish farming, and made her want to be part of the solution, she told Fish Farming International. Her business identifies quality suppliers running fish farms in the most sustainable way possible. It then packages and freezes this fish under LoveTheWild’s brand. A sauce pairing comes with it shaped as a heart. You may want to try barramundi with mango sriracha chutney. She’s got five other options as well. Like many food entrepreneurs seem to do, Claudia pointed to The Saucy Fish Co., out of the United Kingdon, as a model. Parts of Europe are years ahead of America when it comes to the number of innovative, independent, food companies. And Saucy Fish reached $265 million in sales in just four years, according to Claudia. For fish that is guaranteed free from toxins and from a source consumers can trust, Claudia is betting we, too, will pay her to source it for us. 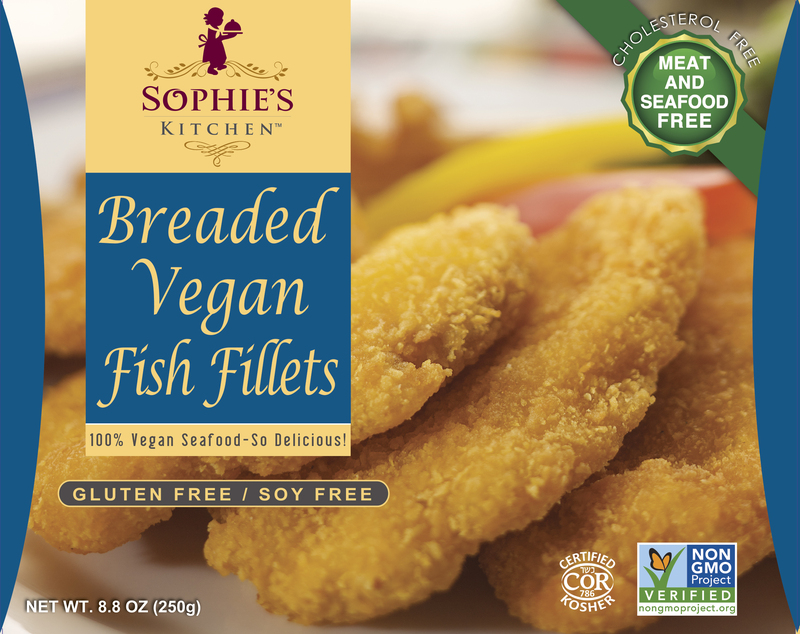 On the sustainable fish theme, there was also Sophie’s Kitchen, but don’t confuse this company with a fish company. It is a vegan fish company, with fish made from plant protein. We are talking about products like Breaded Vegan Scallops, Breaded Vegan Coconut Shrimp, and VeganToona. I tried the Vegan Crab Cakes, and the Vegan Smoked Salmon, and they were very good. They were not too fishy, but with a slightly chewy texture, good appearance, and a pleasant, lingering aftertaste. Wang was alarmed by the fact that he could no longer find live jelly fish at a famous beach near where he grew up. Sebastopol, California-based Sophie’s Kitchen is named after founder and CEO Eugene Wang’s daughter, who is allergic to seafood. Wang wanted his daughter to be able to enjoy seafood without fear, but at the same time, he said he was alarmed by the fact that he could no longer find live jelly fish at a famous beach near where he grew up, and he wondered how many more species his daughter would never see. Wang’s labor of love came to him naturally, for his father was a food scientist who worked in food manufacturing, and his key ingredient is deeply rooted in family’s history. 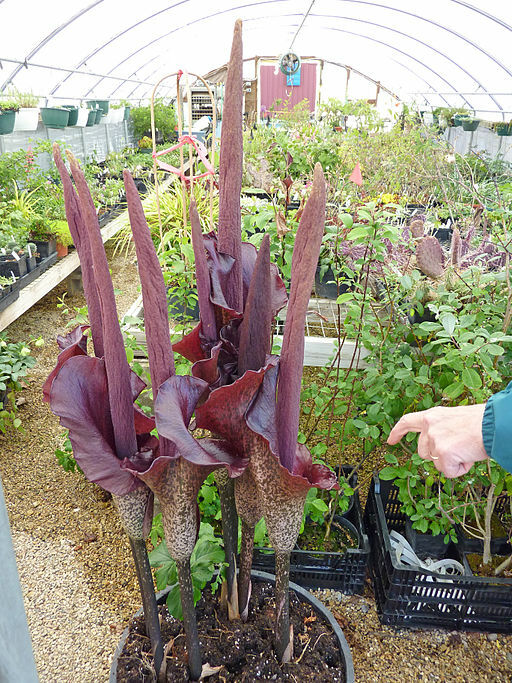 Wang’s grandparents in Taiwan were both vegetarian, and they used to frequently cook with konjac root, known more commonly in the West as elephant yam. Konjac is used in Asia in ways similar to tofu. But konjac has more fiber, less protein, and a more gelatinous consistency. Wang guessed it would make a great ingredient for his vegan seafood. After two years of product development, whereby he says he pushed his food scientists to innovate with plant proteins (mainly pea protein), while avoiding soy protein, to achieve a product that he could combine with konjac, Wang finally got what he was looking for. 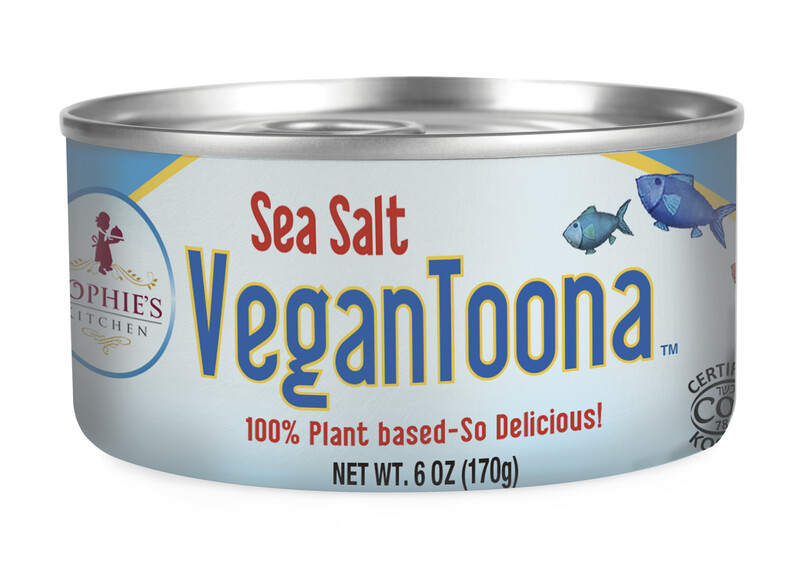 His process for a natural and preservative-free vegan seafood is now patent-pending, and it’s sold in 1,600 stores nationwide. “It is a highly calculated process, totally physical,” said Wang, of the way his product is made, in a telephone interview. Landrace corn is beyond heirloom in the sense that it is acclimated to a particular place, and is attached to a very specific regional culture or tradition. Jorge Gaviria started Masienda to bring landrace corn from Mexico to the United States, and really to the world. He currently sells to about 100 chefs at high-end restaurants who are reviving the tradition of corn in true Mexican cuisine. Gaviria was pulled into the import business by the reality of corn in America. 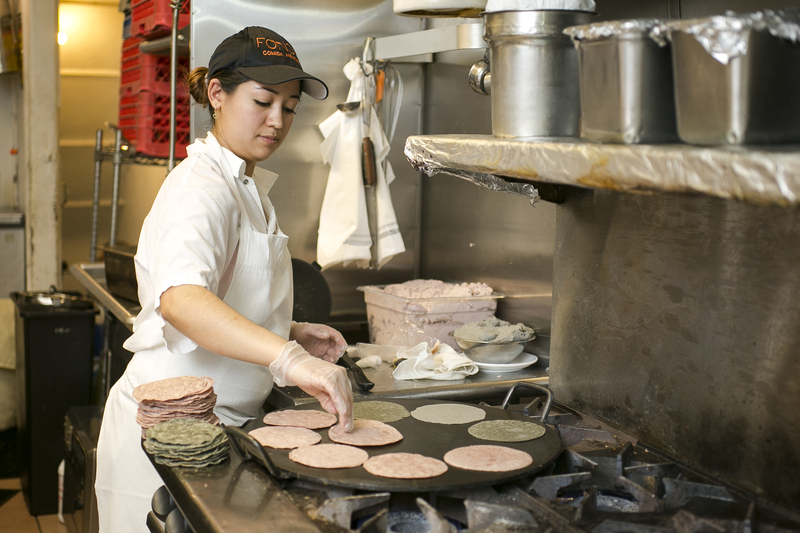 Initially, he wanted to start a tortilleria, but when he went to source his corn, he realized it wasn’t available. 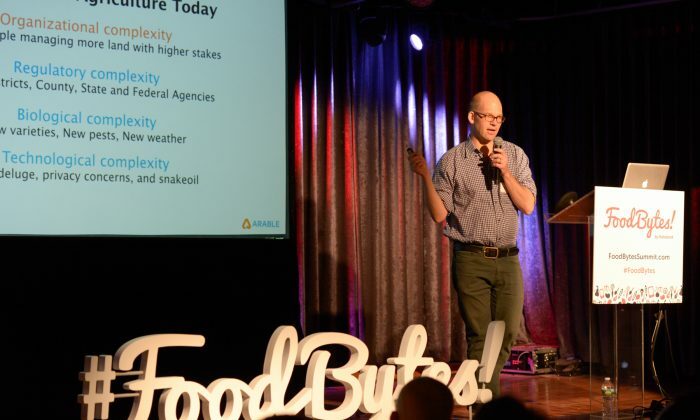 Ninety-three percent of the corn produced in America is genetically modified (GMO), and 98.5 percent of the corn grown in the country is used in non-food applications, such as animal feed, ethanol, and shoe polish, said Gaviria during his FoodBytes pitch. He also told investors the FDA will soon begin to test GMO corn for the presence of Roundup herbicide residues, the chemical that GMO corn is designed to resist. Although we don’t yet have any evidence, the thought that it’s possible we may be consuming a deadly poison is scary enough. After he went to Mexico looking for corn, Gaviria realized that indigenous farmers there were rapidly abandoning or reducing their acreages of landrace corn because they lacked a market for it. Although Mexico has been able to successfully prevent GMO corn from being planted there, farmers still need to grow landrace to preserve its cultural memory. With Gaviria’s help, farmers now have a reason to grow corn. The resource will be preserved, and people around the world will have an opportunity to experience an authentic tortilla—blue, yellow, red, or pink—it doesn’t matter, as long as it’s Masienda consumers can feel at ease. Kakaxi is a startup that is betting that community supported agriculture (CSA) members want more from their adopted farms than a box of vegetables every week or two. There are 6,000 CSA programs in America, averaging 212 members per farm. Kakaxi wants to give each farmer a device that will take different measurements, including time-lapse images, of the fields. Kakaxi is betting that people, for a few dollars a month, will choose to deepen their connections with the farm. Users can then log onto an app to see and know what’s happening at their partner farm. It’s another connection to the food—from sprout, to leaves, to food, and harvest. It’s also a way for users to connect to each other. Want to know how to cook the five pounds of beans you just got in your weekly farm delivery? Kakaxi is betting that people, for a few dollars a month, will choose to deepen their connections with the farm, and build a virtual community around the farm as the hub. Finally, the most advanced technology award goes to Arable, which was presented by CEO Adam Wolf, who completed a Ph.D. in biological sciences at Stanford University and is now a researcher at Princeton. We can safely assume that many of the aforementioned “tools” above are part of Arable’s Pulsepod invention, but here is what I understood. The miniature flying saucer-shaped device is loaded with sensors for data collection in the field, which would enable precise data analytics, and ultimately empower farmers to predict and make better decisions about planting, watering, fertilizing, harvesting, and crop survival, potentially saving farmers billions of dollars in losses. This company is making ketchup and BBQ sauce healthy again by incorporating fresh vegetables such as butternut squash, carrots, and spinach. 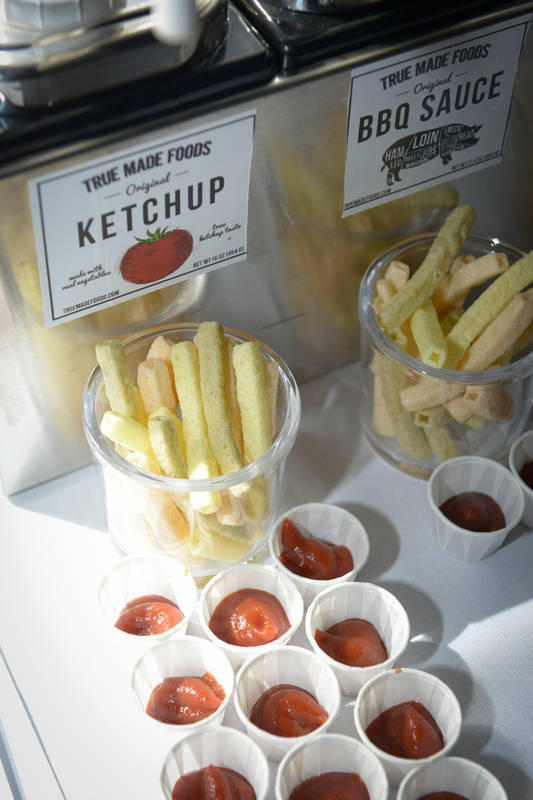 True Made Foods displays its ketchup and BBQ sauces at FoodBytes! Brooklyn on March 3, 2016. (John McCartney/Courtesy of FoodBytes! Inspired by the diverse flavors and ingredients of Indian street snacks, or “chaat,” this company has designed a healthy, savory yogurt with global flavors that do not feel foreign. A smart technology system combines temperature sensors, an app, and cloud-based storage to revolutionize how restaurants capture temperature readings, allowing easier, and more effective compliance with government regulations. Using a purely biological process, DouxMatox has found a way to enhance the sweetness of regular sugar, which will allow manufacturers to use less of it. Using active ingredients from green tea (one bottle has the equivalent of 15 cups) and lemon balm, drinking this tea is said to impart relaxation for up to six hours.